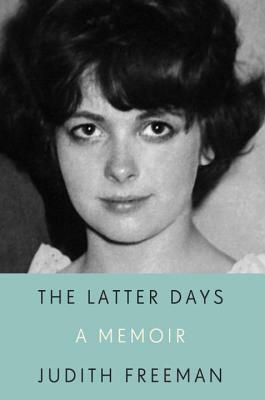 An arresting, lyrical memoir about the path the author took—sometimes unwittingly—out of her Mormon upbringing and through a thicket of profound difficulties to become a writer. At twenty-two, Judith Freeman was working in the Mormon church–owned department store in the Utah town where she’d grown up. In the process of divorcing the man she had married at seventeen, she was living in her parents’ house with her four-year-old son, who had already endured two heart surgeries. She had abandoned Mormonism, the faith into which she had been born, and she was having an affair with her son’s surgeon, a married man with three children of his own. It was at this fraught moment that she decided to become a writer. In this moving memoir, Freeman explores the circumstances and choices that informed her course, and those that allowed her to find a way forward. Writing with remarkable candor and insight, she gives us an illuminating, singular portrait of resilience and forgiveness, of memory and hindsight, and of the ways in which we come to identify our truest selves. JUDITH FREEMAN is the author of four novels—Red Water, The Chinchilla Farm, Set for Life, and A Desert of Pure Feeling—and of Family Attractions, a collection of stories, and The Long Embrace, a biography of Raymond Chandler. She lives in California and Idaho.